From the early days of Test cricket to the immortalized handshake offered by Andrew Flintoff to Brett Lee in the Ashes series 2005, cricket has a history of extraordinary moments that embody everything that sets the game apart from any other. The Spirit of Cricket remembers some of the outstanding performances, captivating matches, and remarkable incidents that represent tFrom the early days of Test cricket to the immortalized handshake offered by Andrew Flintoff to Brett Lee in the Ashes series 2005, cricket has a history of extraordinary moments that embody everything that sets the game apart from any other. The Spirit of Cricket remembers some of the outstanding performances, captivating matches, and remarkable incidents that represent the glory of the sport. Each entry gives the background to the match or moment, profiles of the key players involved, and comment from legendary cricketing names. Many of the entries themselves will be chosen by star cricketers, umpires, journalists, and commentators—each choosing something that symbolizes the spirit of cricket for them. 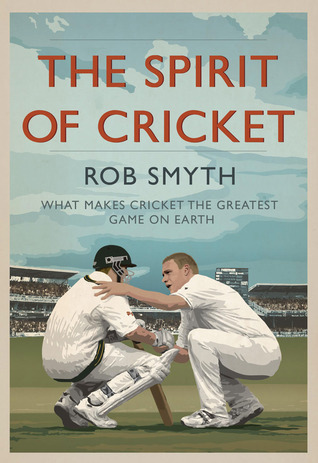 I really enjoyed this finely written study of one of the idea of the spirit of cricket - a term that occasionally inspires and more often infuriates me. The book avoids the pomposity that can be a feature of discussions of this type, and is peppered with contributions from players, fans and journalists. A lovely book, a thoroughly enjoying read from start to finish and a must for any cricket fan. Recommended.